Granted, it's an odd name for a horror film package, but WKRC-TV's short-lived 12 TALL TALES is a fond memory for those of us who oversaw its brief timespan. 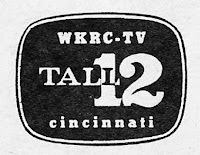 The name of the show was derived from the then-ABC affiliate's nickname of "Tall 12," which was owed to it having the tallest transmission tower in the Greater Cincinnati tri-state area. ... and maybe a final flash of lightning and the words 12 TALL TALES. Once Cincinnati's Monster Kids got a load of this, we were hooked. 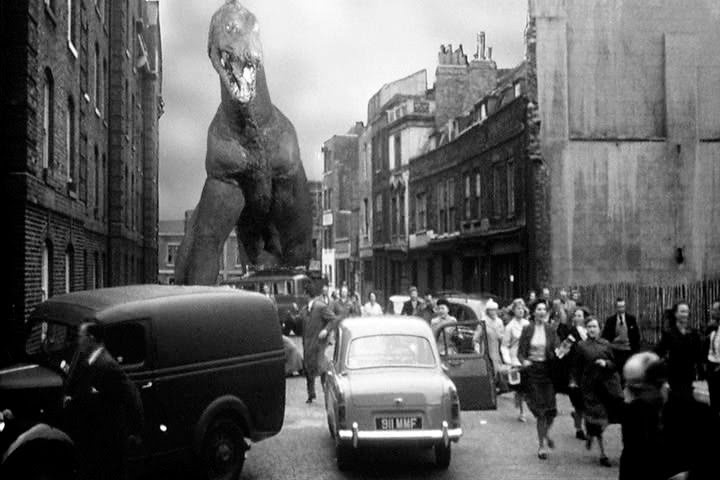 What was especially wonderful about this opening, with its crude 16mm B&W newsreel photography and its incorporation of classic monster images and local landmarks, was its creepy suggestion that there might be scary things lurking just under the surface of the city where we lived. The show also struck at just the right time for me, personally - I was 9 years old when it started, going on 10, summer vacation was nigh, and what better excuse than 12 TALL TALES to arrange a Saturday night camp-out with a friend on your, or their, living room floor? Also, as I recall, because these films were being shown in a 90-minute time slot, they came with a promise of limited commercial interruption after an initial 5-minute cluster of commercials at the top, ensuring that the films themselves began at the Witching Hour. 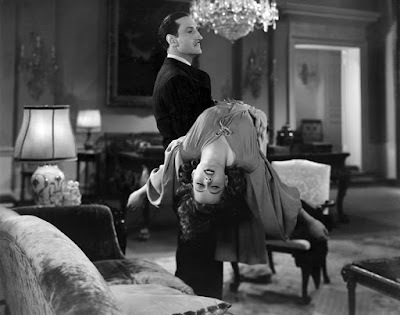 Basil Rathbone in THE MAD DOCTOR. 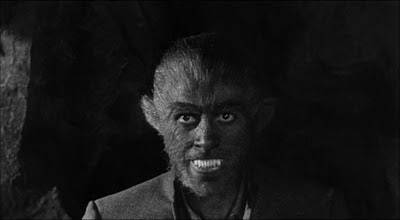 Since each of the broadcasts from May 21 through June 18 were from a Columbia TV syndication package, the unlisted July 2 broadcast was very likely Fred F. Sears' THE WEREWOLF (1956), which is conspicuous in its absence from the list - particularly considering its contribution to the show's opening montage. Furthermore, I feel certain that I saw the entire film one night on 12 TALL TALES. As for the recurrence of that last title, I sense a misidentification in the scheduling; I suspect that the July 16 listing was in fact I WAS A TEENAGE WEREWOLF, otherwise there would have been no need to repeat the TEENAGE FRANKENSTEIN listing. 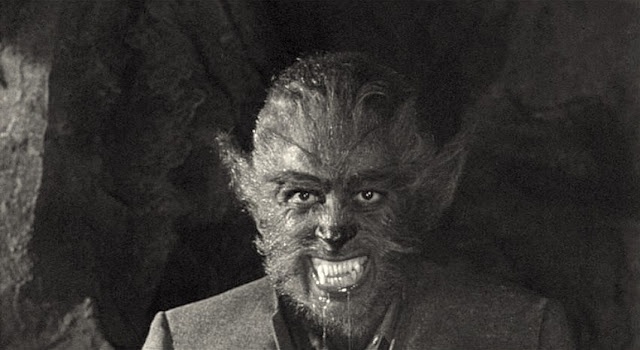 Also, I have a memory of seeing I WAS A TEENAGE WEREWOLF around this time. 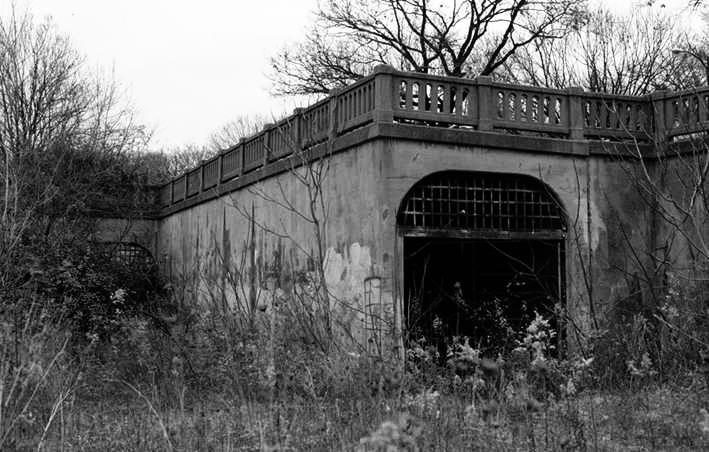 I WAS A TEENAGE FRANKENSTEIN. 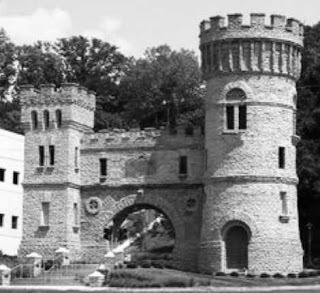 For some reason, 12 TALL TALES then vanished from the WKRC-TV Saturday night line-up. I remember checking the newspaper TV Magazine listings for that time slot in vain, week after week, until I finally gave up. Coincidentally, the Cincinnati area's only other horror-themed movie block, the long-running SHOCK THEATRE on WCPO-TV (Channel 9), lasted only another six weeks and was then replaced by the Cleveland-based rock 'n' roll show UPBEAT. The Monster Kids, I guess, were growing up. About seven months later, if the listings are correct, 12 TALL TALES returned to Channel 12 on the evening of February 11, 1967. The name of the program is there but the page doesn't otherwise identify the inaugural feature; it simply resumed without fanfare. The fact that the first two return broadcasts didn't specify a feature, that the program was again soon pre-empted by network content, and that its starting time soon became unpredictable, suggests that different factions at the station may have disagreed about the show's value. The 11:55pm start time held firm until the April 15 broadcast, from which time the show's start time alternated between 12:45 and 1:00am, once going as late as 1:45am, until it expired for the second and last time. This irregularity in itself would have proved destructive to the ratings because an important part of 12 TALL TALES charm is that its original timeslot guaranteed that the movie would end in time for you to switch over to WCPO-TV in time to catch the opening of Bob Shreve's SHOENLING ALL-NITE THEATRE, which always reliably started at 1:30am. 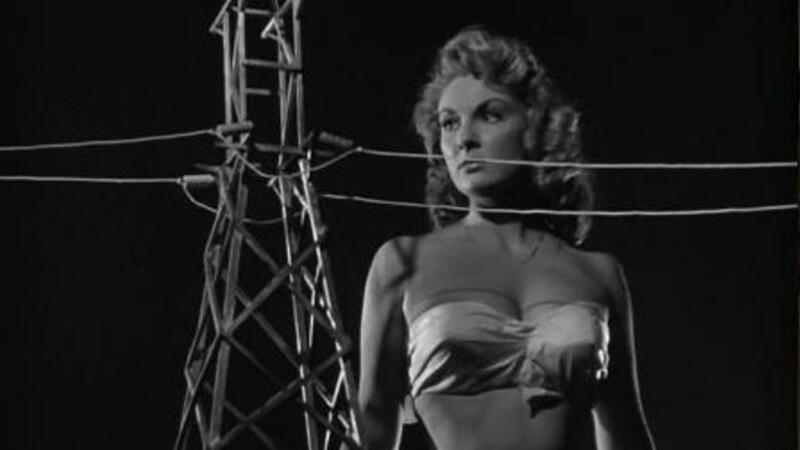 Allison Hayes in ATTACK OF THE 50 FOOT WOMAN. Mar 04 - CALTIKI THE IMMORTAL MONSTER (1959) - my first-ever Mario Bava movie! Fortunately, the second round of Unlisteds aren't too much of a brain-teaser. These almost certainly included Roger Corman's THE WASP WOMAN (1959), Edgar G. Ulmer's DAUGHTER OF DR JEKYLL (1957), Bert I. Gordon's THE CYCLOPS (1957), and Monte Hellman's BEAST FROM HAUNTED CAVE (1959) - there's your four Unlisteds right there! - as these were all part of the same Allied Artists TV package as the other titles shown in the first half of the program's 1967 slate. The TV prints of these B-pictures were padded for telecast - in some instances with additional footage, but also with interminable introductory scrolls that, in those days, were a charmingly hokey way to psych yourself up to watch a horror movie. Check out this 2006 Video WatchBlog entry for an example. Looking back from a nearly 50-year vantage, it's startling for me to realize what a short-lived thing 12 TALL TALES actually was. Seen - lived through - at that time, when many of these movies were still new to me, or being viewed for the second time for the first time, when I was a sponge soaking up all this information, the experience seemed quite vast and its souvenir images of Vincent Price's suave menace, Butcher Benton's baggy eyes, Caltiki's blobby rampage, and a giant Allison Hayes howling her libidinous lust for two-timing Harry would only swell to greater proportions in the cathedral of my memory. But a couple dozen movies. That's all it was - plus the anticipation and the living and the ritual sharing of 12 TALL TALES. How starved for this stuff we must have been!